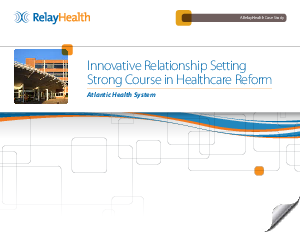 Atlantic Health System, based in New Jersey, led an initiative to connect healthcare providers with one another and with patients to improve care coordination and patient engagement. Each year has brought greater care collaboration between healthcare providers within the region and has resulted in the Jersey Health Connect HIO. Additionally, a cultural shift and implementation of new financial connectivity tools at Atlantic Health made it easier for patients to understand and fulfill their financial obligations while the billing department was able to ease and accelerate claims processing and account resolution.